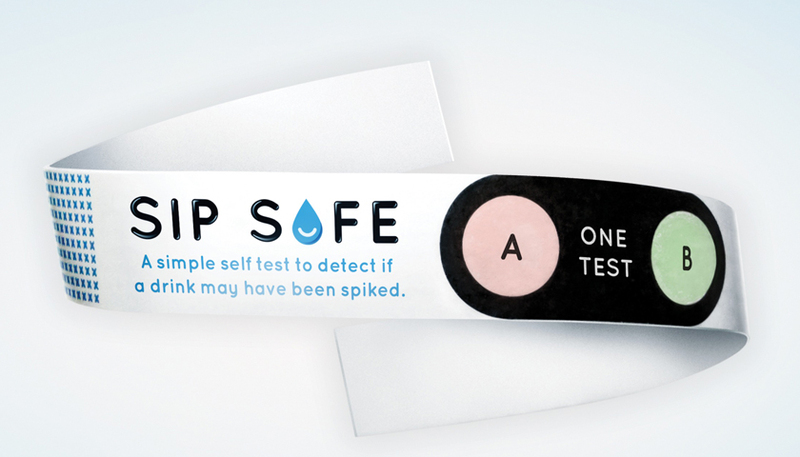 Monash University and Y&R Melbourne have launched Sip Safe, a simple wristband that helps protect young people against drink spiking. In a sidestep from the traditional client-agency relationship, this initiative sees an innovative product being launched by Y&R Melbourne in collaboration with Monash University. The product is Sip Safe, a simple wristband that helps protect young people against drink spiking. Following a successful launch on Thursday, 19th April at the Monash Clayton campus the product is set to be rolled out at a variety of student and youth events throughout the year. Designed in Australia and manufactured by Drink Safe Tech in Florida USA, the Sip Safe wristbands were trialled in November 2017 at a Schoolies event in Lorne. Through utilising paper treated with chemical reagents the disposable wristband can test for the presence of both GHB and ketamine in liquid form. Jake Barrow, executive creative director, Y&R Melbourne, says, “Launching Sip Safe with Monash University is an incredibly proud moment for us.